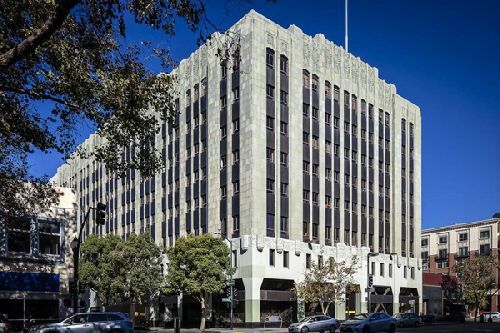 WeWork, the global co-working firm, has agreed to a lease for 68k sf in Oakland. The company will occupy three full floors at the historic Breuner Building, located at 2201 Broadway, at the corner with Grand Ave, just a few blocks from Lake Merritt. Terms of the deal were not disclosed. WeWork will take occupancy in two phases with Phase I commencing immediately and Phase II commencing in January 2020. The property is owned by TMG Partners, who completed extensive renovations to the building. This includes a façade upgrade, blade signage, fully reimagined lobby and common area, amenity upgrades, new roof, and a complete HVAC, elevator and fire life safety modernization. building’s northern façade has also served as "The Great Wall of Oakland," a 100' x 100’ installation which provides an ideal backdrop for film screenings and vertical dance troupe performances, playing a central role in the Uptown neighborhood's cultural resurgence. Cushman and Wakefield’s John Dolby and Dane Hooks led all leasing efforts for the building. Savills Studley’s Steve Barker advised WeWork in the deal.